This colourful online slot might look simple at face-value but don’t let that fool you, as the game offers plenty of electrifying features including free spins with a double stack feature and respins galore. It is also Quickspin’s first Asian-themed slot and although it looks like a classic slot game, it has been given a modern twist that includes Quickspin’s signature features. So, if you want an online slot that is easy to comprehend and to play, you might want to give Dragon Shrine a try. There is no elaborate plot or story behind this online slot. Instead Dragon Shrine offers an oriental-themed slot game spread over 5 reels with 40 paylines. What we especially love when it comes to this game is the fact that Quickspin has created a very simple layout, proving that simplicity does work pretty well for those who don’t prefer elaborate graphics and adventure-like games. Offering exciting graphics and combining a classic slot layout with a modern twist, this game has a special treat in store for players in the shape of respins during the free spins round, which we shall divulge in a bit. Set against a blue background, symbols include golden dragons, 4 distinct gemstones, stacked symbols, stacked wilds and playing cards A, K, Q, J and 10. Payout percentage: The theoretic payout percentage of Dragon Shrine is 96.55%. Game features: Stacked symbols, stacked wilds, Dragon Stack Respin and a Free spins round. Set against a psychedelic blue backdrop, Dragon Shrine is an online slot spread over 5 reels, which can be played either on desktop or on a mobile device. The game is like a mobile mini game taking inspiration from Chinese games. 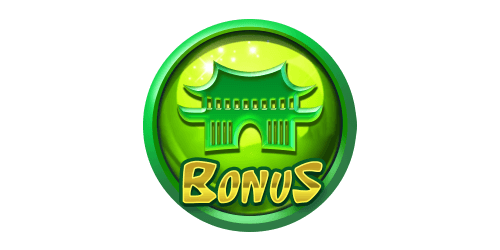 The highest paying symbols in this game are represented by the jewels while the green bonus temple characterizes the scatter. The wild is represented by a golden plate with Wild written on top. Keep an eye out for the Dragon symbol once you start spinning the reels. If it appears fully stacked on reel 1, it shall trigger the Dragon Stack Respin feature. When this happens, get ready to rub your hands with delight. What happens next fills every video slot player with glee. All Dragon and wilds lock into place and three respins are instantly awarded leading to more big wins. Any extra Dragon and wilds are also sealed into place during this round. Oh, and the Dragon symbol itself pays 3x the total bet. Just in case you thought this video slot couldn’t get any better, it does. Land three bonus scatters on reels 2, 3 and 4 during a single spin and you shall collect 10 free spins. During this bonus round, you can win from left to right and from right to left. Thanks to this feature alone, you can produce more wins with the infallible help of stacked wilds and symbols. In addition, the Dragon Stack Respin feature can also be activated during this round. When triggered, the stacked first reel activates the opposite reel, creating two stacked reels (Reels 1 and 5). The minimum betting amount on Dragon Shrine is €0.20 while the maximum betting amount is €100 per spin. The maximum win you can achieve on Dragon Shrine is worth 871x your total stake. 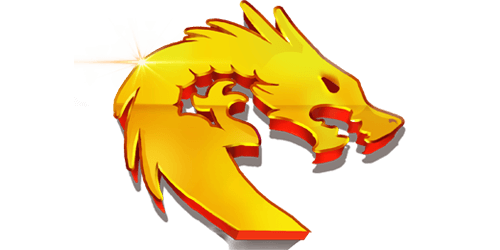 Like most online slots by Quickspin, Dragon Shrine is available to play on the go, anytime and anywhere so you are no longer confined to playing on your desktop computer solely. If you are ready to get started, seize one of our exclusive welcome packages to start your online casino adventure with extra bonus cash.